When news outlets reported on the sentencing of James Holmes at the weekend, I was struck by the incongruity between the events described and the repeated use of the word ‘spared’. In July, Holmes was found guilty of the murders of 12 people in a cinema in 2012. Prosecutors in the case sought the death penalty, but the jury needed to be unanimous in their decision to pass this sentence. At least one juror opposed the death penalty, and Holmes was sentenced to life in prison without the possibility of parole. 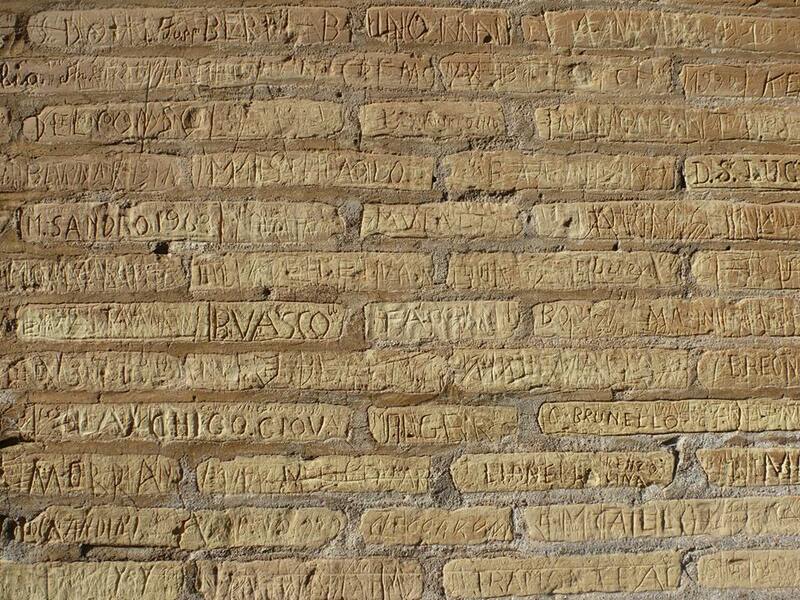 Here is a photo of names etched into an interior wall of the Colosseum. I was there the other day while visiting Rome. Inside that ancient arena it is hard not to be drawn into musings about universal human truths. My own thoughts fixed on the idea of the spectacle and how societies, ancient and modern, are organised around staged performances. This is somewhat aided by the design of a circular, tiered structure which encourages a sense of belonging to a mass group with a common purpose while also marking social status differences. The presence of a ‘Royal Box’ for distinguished guests at Wimbledon suggests that this social function of the arena has survived into today’s world. ‘Impact’ was the theme at this year’s iMean conference. I was there as a student volunteer helping out for four days in April. ‘Impact’ emanates from a source, and I had the opportunity to experience firsthand the source in question at iMean 2015, that is: the linguistics research community. Or at least, I should say, a variety of academics from across the world whose research focus is language. This seems to be an important distinction to make now that the onus falls increasingly on the individual researcher – rather than research community – to justify their work in terms of its ‘impact’. It was fascinating, as an English Language and Linguistics undergraduate still fairly new to the world of language research, to observe seasoned academics as they grappled with this buzzword ‘impact’. The accusation often levelled against politicians is that they are not straight with people, but I’m inclined to believe that it’s not entirely their fault. After all, they do have an affliction, a language condition (let’s call it rhetoricitus) which prevents them from saying exactly what they think. The BBC has been campaigning for years to raise awareness of the plight of rhetoricitus sufferers, and every Thursday their in-house specialist, Mr David Dimbleby, runs a workshop. At the workshop, the brave men and women of Westminster are invited along to demonstrate the crippling effects of their affliction on their ability to give straight answers to questions posed by members of the public. With the workshops being broadcast on both television and radio, the hope is that such exposure will take away the stigma associated with rhetoricitus whilst encouraging people to be more accepting of sufferers’ use of language. The glaring question that faces anyone researching secret languages is: do ‘secret languages’ actually exist? The description seems to present something of a paradox, in that language facilitates communication whereas a secret is about resisting communication. How would a ‘secret language’ survive in a time when open, well-documented languages are continuously dying out? Furthermore, how would it come into being in the first place? The world’s languages have evolved over time and consist of a set of internal rules that native speakers learn from a very early age. In contrast, the need for secrecy is a cultural phenomenon that occurs after language has already been acquired. Aphasia (sometimes known as dysphasia) is a condition that affects the brain and leads to the inability or impaired ability to both understand and produce speech due to progressive or sudden brain trauma or damage. Aphasia can be defined as a ‘communication disability’ and it is caused by the damage of the communication centres within the brain. The most common cause of aphasia is stroke (disturbance in the blood supply to the brain) but it is also caused by brain haemorrhages (an artery in the brain bursting and causing bleeding in the surrounding tissue, the bleeding kills brain cells) and brain tumours (a growth of cells in the brain that multiply uncontrollably). 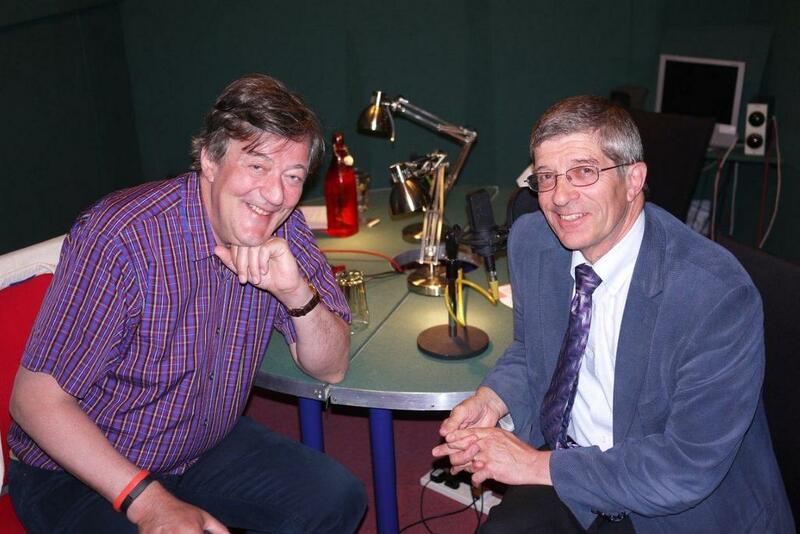 There is also a condition called Primary Progressive Aphasia although the cause of this is undecided. Sufferers of aphasia make errors in their speech and at times use the wrong sounds in a word, choose the wrong word or use words together incorrectly. Aphasia affects writing as well as speech. Many individuals with aphasia find it challenging to understand words and sentences they hear or read. When I started to work on the language Mosetén in the Bolivian Amazon 15 years ago, I realised pretty early on that I was looking at a language that was ‘endangered’. The village where I had started to work was still predominantly Mosetén speaking, but there were quite a few families where Spanish seemed to play the main role. Many children were growing up speaking only Spanish.